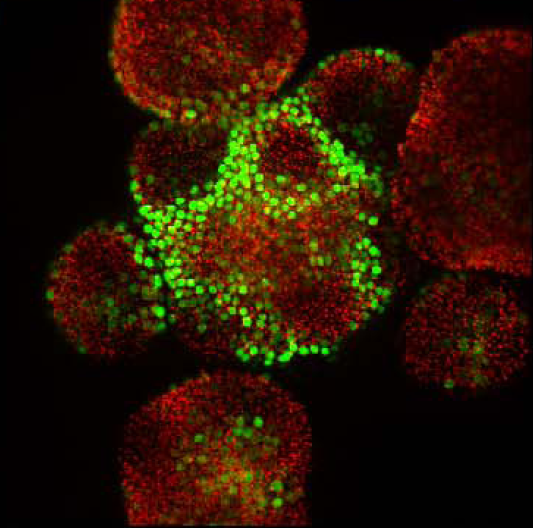 Abstract : The plant hormone auxin is thought to provide positional information for patterning during development. It is still unclear, however, precisely how auxin is distributed across tissues and how the hormone is sensed in space and time. 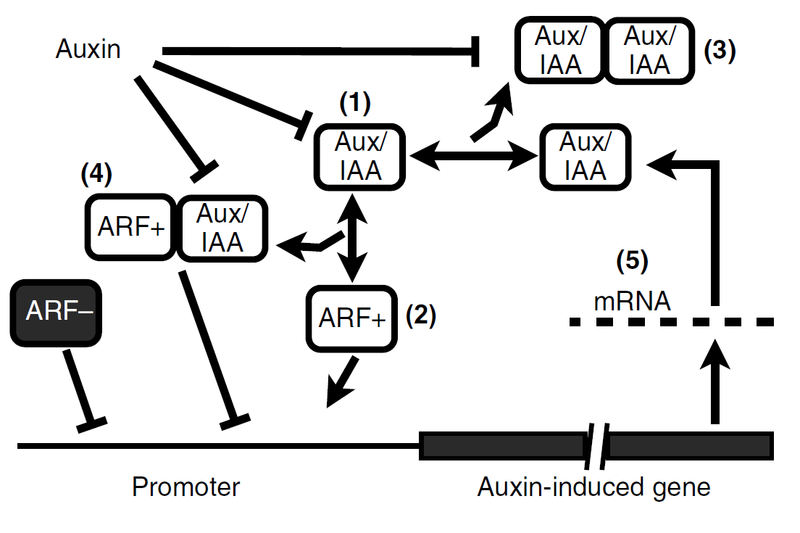 The control of gene expression in response to auxin involves a complex network of over 50 potentially interacting transcriptional activators and repressors, the auxin response factors (ARFs) and Aux/IAAs. Here, we perform a large-scale analysis of the Aux/IAA-ARF pathway in the shoot apex of Arabidopsis, where dynamic auxin-based patterning controls organogenesis. A comprehensive expression map and full interactome uncovered an unexpectedly simple distribution and structure of this pathway in the shoot apex. A mathematical model of the Aux/IAA-ARF network predicted a strong buffering capacity along with spatial differences in auxin sensitivity. We then tested and confirmed these predictions using a novel auxin signalling sensor that reports input into the signalling pathway, in conjunction with the published DR5 transcriptional output reporter. Our results provide evidence that the auxin signalling network is essential to create robust patterns at the shoot apex.